For me and many photographers that I know, compositing and post-processing is fine, even needed in many cases. The thing that we all seem to get wrapped around the axle about is when a fellow artist is not entirely forthcoming about how a work was produced. Let’s get a few things on the table from the start. 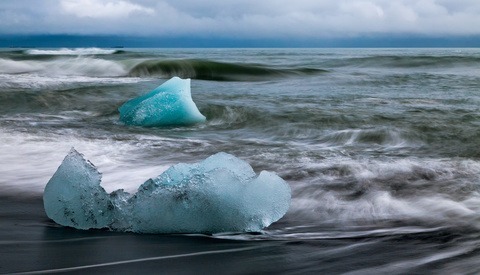 First, I am a fan of Peter Lik and his photography. He is a master marketer and probably the most successful photographer of our era as measured by sales. What’s more, my guess is that there aren’t too many people who write about him who actually put their money where their mouth is: I am the proud owner of #175/950 of Lik’s “Solace.” Second, as a photographer and an artist, I have absolutely no issue with composited or processed images. With many landscape and nightscape photographs, compositing is a necessity given the dynamic range, depth of field, and a whole host of other challenges in capturing the scene entirely in-camera. Most photographers are aware that even the great Ansel Adams did quite a bit of post-processing of his work. He is notorious for spending a full day in the dark room to produce one photograph. Yes, photography purists might say that it is only real if everything is done in-camera, and that’s OK too. So, what is the fuss all about? Well, a few days ago the Fstoppers gang (Lee Morris, Patrick Hall, David Strauss, and Mike Kelley) did a video segment called “How Fake Is This Photo by Peter Lik?” where they discussed whether a new image released by the photographer was real or not. 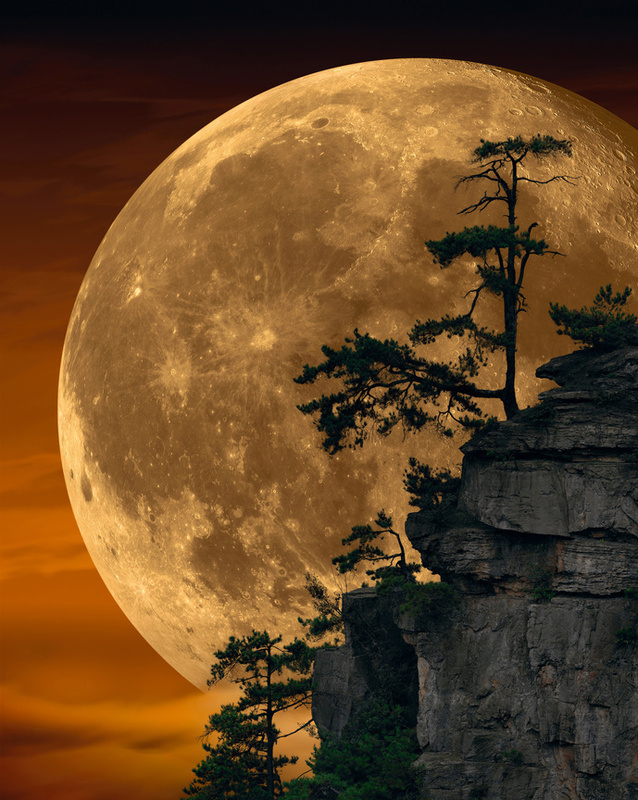 The photograph in question is called “Moonlit Dreams” and features a large, very sharp rendition of a nearly full moon (a few days past full) rising behind a cliff with trees. The bulk of the conversation centered on issues such as dynamic range, lighting, depth of field, size of the moon, location of clouds, and if this is possibly the same moon used in another Lik photograph, “Bella Luna.” With both photographs, there is definitely an issue with clouds appearing to be behind the moon, I’m going to set that aside for the argument’s sake. This shot has eluded me my entire photographic career. I searched for days to line up this classic tree with the moon. The golden sphere slowly rose in front of me. I pressed the shutter, a feeling I'll never forget. 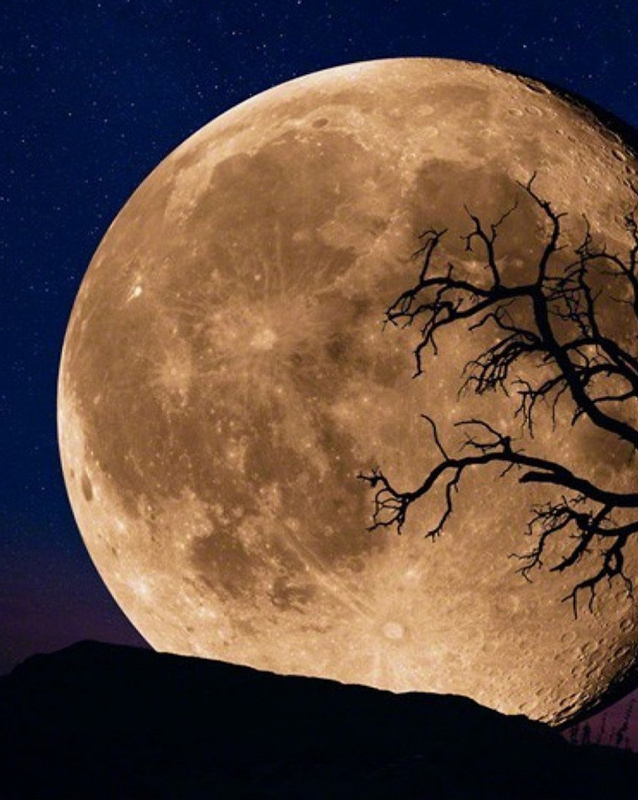 The moon, tree, and earth. In his commentary, he continues to have us believe that the photograph is entirely composed and shot in his camera. How can we tell with 100 percent certainty that the image is a composite? Because science; it has everything to do with physics, not photography. You see, it is physically impossible to have the north pole of the rising moon at the very top, as it is in this photograph, for any picture taken in Kodachrome Basin, Utah. Or, said another way, the terminator shadow cannot be perpendicular to the horizon at the latitude of Kodachrome Basin when the moon is just rising. The physics of its orbit around Earth do not allow it to appear that way. In reality, the only possible way for the moon to be in this orientation when it is rising is if the picture were taken north of Utah, and I’m not just talking about Wyoming. It would have to be shot well above the arctic circle. Three consecutive month views from early 2018 of approximately the same phase of the moon in Lik's "Bella Luna" as it would appear at 10-degrees above the horizon from southern Utah. You can see the shadow is on the top right and the moon's North Pole is to the top left. Source: Starry Night Pro. Now we can move on to the more recent image, “Moonlit Dreams,” and its authenticity. There are certainly other things going on in the shot that might lead you to believe it is a composite. Most notably, in my opinion, is the fact that there is no way to achieve the level of sharpness of the moon at the altitude shown in the photograph. Every photon of sunlight being reflected by the moon is also being greatly refracted as it passes through Earth’s atmosphere on its way to the camera’s sensor. At that low altitude, the photons would be traveling through a lot of it. Add to that the fact that a long focal length lens must have been used. Those optics would serve to magnify all of that roiling refracted light and help to create a relatively blurry final image. Once again, I’d like to back burner all of that and focus on the physics of the moon’s orbit around Earth. Everyone reading this is mostly familiar with the notion that the moon goes through phases: new, waxing crescent, first quarter, waning gibbous, full, etcetera. With all of the supermoon hype by the media, you are probably also aware that the moon gets larger and smaller from our point of view. This is caused by the moon’s orbit being elliptical in shape, giving it a closest approach (perigee) and farthest approach (apogee). At closest approach you likely have heard that it can appear to be up to 14 percent larger than farthest; that’s the supermoon. But wait, there’s more. Besides the phases and size, the moon also has a wobble, called libration. Libration has to do with the variable speed of the moon along its elliptical orbit combined with the fixed rotation speed of the moon itself. The specifics aren’t extremely important, the effect is what’s relevant. That is, at certain times during its orbit, we can actually see around to sides of the moon that we wouldn’t see if libration didn’t take place. Instead of seeing just 50 percent of the face of the moon, we can actually see about 59 percent of the face of the moon over time. But wait, there’s even more. In addition to the phases, the size, and the wobble, there is also a roll. That’s right, on top of all the other movements, the face of the moon will also appear to roll left and right. If you want to see all of this in action, NASA has created a great website illustrating it with a cool movie. 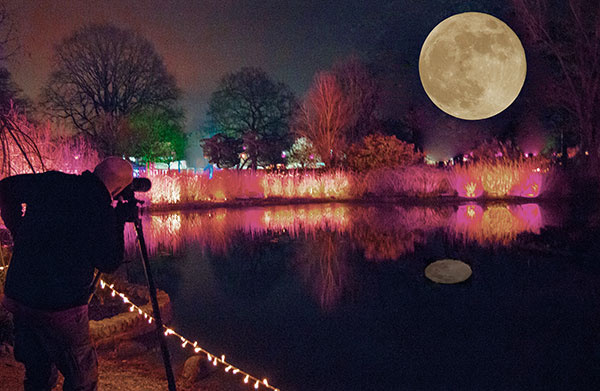 What does it have to do with Lik’s “Moonlit Dreams” photograph? In short, because of all of these movements, it would be extremely unlikely to capture the exact same face of the moon in two separate shots at different times and in different locations. 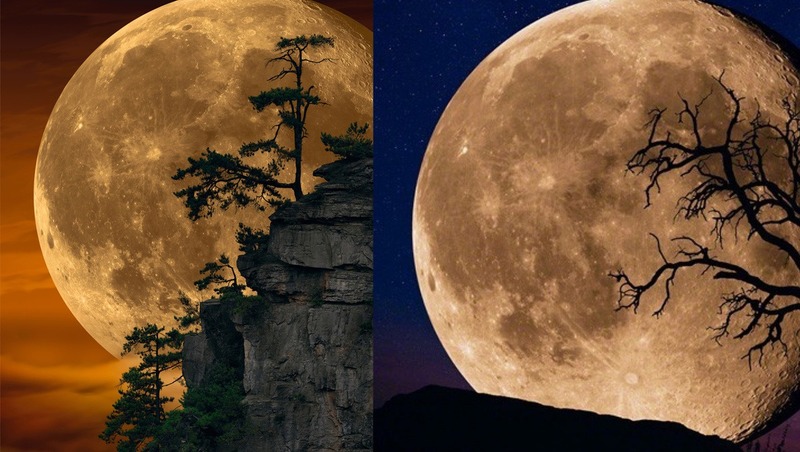 Yet, Lik’s two photographs, “Bella Luna” and “Moonlit Dreams,” show exactly the same face of the moon (when corrected for scaling distortion) proving that it is the same image of the moon in both pictures. The odds of this happening by chance are probably something like winning the lottery, getting hit by lightning, and solving global warming all in the same day. Planning for such an alignment would also be next to impossible. Even if he were able to calculate the exact moment when the moon would appear the same, it would have to also be taken with a precision measured in seconds for the two images to line up like these do. Move the slider above to see just how perfectly the moons line up, after being corrected for scale differences in the images, between Lik's "Bella Luna" and "Moonlit Dreams." As if all of this weren’t enough evidence, here’s another thing to noodle on. In “Moonlit Dreams,” the moon is tack sharp. For the level of sharpness, the edge of the moon is unrealistically smooth and round. 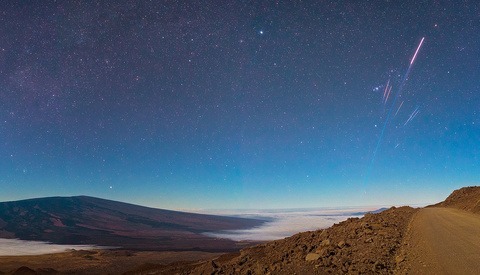 As a nightscape photographer, I have traveled to the top of Mauna Kea in Hawaii with an 8,000mm lens (a telescope actually) to capture sharp lunar images. What you quickly realize with ultra-sharp images of the moon is that you can also make out mountains and craters on the limb, or edge. Sometimes you can even see mountain peaks that are around the limb of the moon. For example, below is one of my lunar photographs illustrating how this looks. 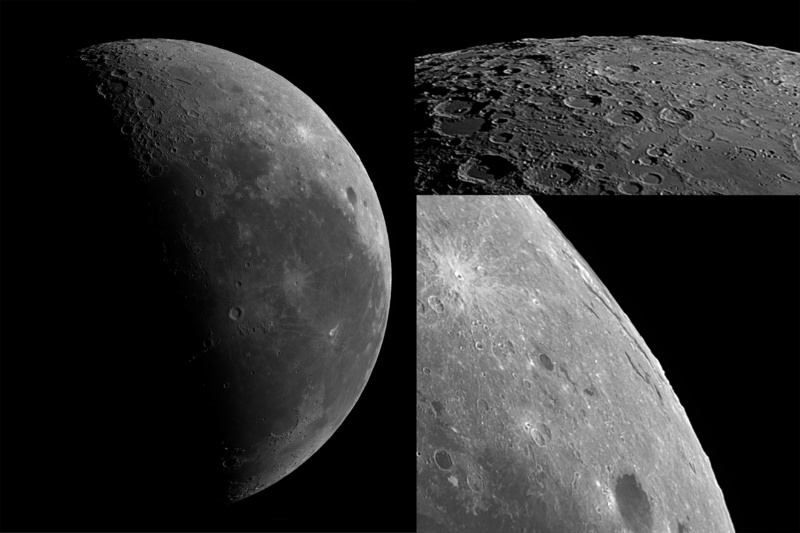 In the bottom right blown up inset, some of the ridges you see are actually from the distant part of Mare Orientale, a large crater on the western border of the near side and far side of the moon. Lik’s photograph, by comparison, shows a clean, anti-aliased (i.e., smoothed) edge to the moon that definitely should not appear so tidy given the overall sharpness. With sharp lunar photographs, the edge of the moon should appear bumpy due to mountains and craters. Lik's photographs show the moon's edge appearing round and smooth. Here's the bottom line: I don't believe that the moon in either of Lik's photographs was there when the picture was taken. I am not saying there couldn't be a moon in his raw images, it just is not the moon we see in the final works. I also believe that the image of the moon used in both photographs is the same. In "Bella Luna" it has been scaled and blurred a bit to fit with the composition. In "Moonlit Dreams" it has had the shadows brightened to make the moon appear full. One telltale sign of this is that the moon seems "flat" in that region, a common mistake when shadow areas have been pulled up too high in post-processing. The other giveaway is that the edge of the shadows in the craters on the right side of the moon match the shadows in the craters in "Bella Luna," except for the small oversight that a full moon should not have any shadows in the craters. At the end of the day, photography is an art form and there certainly are many interpretations about what is right or wrong and good or bad. I believe what the folks are asking for from Lik and his associates is for them to speak the truth about the work, whatever that truth may be. Nothing more and nothing less. 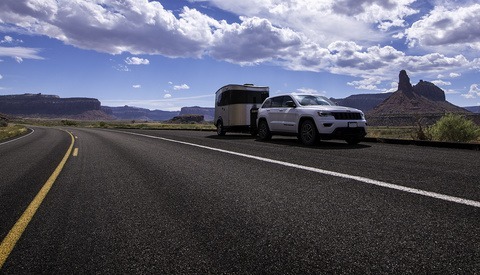 Steve Cullen is a photographer and videographer based in the Pacific Northwest. He's a professional wanderer and night sky nerd trying to capture the spirit of the places he explores through his nightscape, landscape, and aerial work. Are You Guilty of Formulaic Photography? Oh I'm sure, making a million dollars a year as a photographer isn't that unheard of...and Peter is one of the most well known. His whole photo operation is probably worth $10 million alone. -it's not, there are tons of unknown photographers who pull 7 figures per year, and he is very well known. Thanks for the science-y followup on the previous article. The moon shot is spectacular, but I just don't know how it can be passed off as in-camera. As more and more people learn about digital photography, it would seem to me that charlatan ways of advertising would be called out. Not to say the photograph isn't worth selling, but not with the false statements about its production. Thank you Jeannie. I think it is important that we artist/photographers hold ourselves to a higher standard that should start with total transparency about our work. I don't think it will make someone more or less inclined to purchase it, do you? "Mr Lik, sir, your most profitable print to date is Bella Luna"
"OK, post-production kid, make me another one! Make it even better, and there's a bonus in it for you." When you're a fine art gallery owner, and a brilliant salesperson, MORE than a photographer, ...then you gotta follow the $$$. That's all there is to it. I don't know but frankly I don't care. In my opinion, there is enough litigious stuff going on in the world to worry about it in this case.I think we all would just like to see Lik be truthful about how his images are created. To be fair: He probably has people do it for him. So he can claim "I don't do any post work on my images" and be 100% correct. Lik's work is kitsch. It has not the slightest artistic value. Lots of opinions on that, some for and some against. As for me, I enjoy and appreciate his work. Like I said, I have even purchased one of his pieces. The thing is I think your moon shots are more ''artistic'' then his kinda bad photoshop. I love the close up moonshot. Great shots. Thanks for that Osman. It is fun photographing the moon but my process is very involved and time consuming. But there is no better way to do it that I am aware of so I put in the time to get it right! I dislike his photos in general (as a consumer, not a photographer) And whether they're faked or photoshopped I wouldn't put them on my wall and in fact, I I think I'll toddle off to watch some paint dry. However, great follow up article you guys, I always love and reset the scientific viewpoint! Thank you Stephen. I think his stuff is way better than watching the paint dry. Now, if you had said watching the bread mold, perhaps it would be a different story. ;-) Seriously though, I genuinely do like Lik's work by and large. Heck, I've spent my hard earned money on it, there's no better vote of confidence than that. the main way to tell it’s fake is you can see the shadow areas on the moon. When you see the moon during day or night it’s shadowed areas usualy* match the background sky colour. To understand this we need to remember that space is black, and the shadows on the moon are equally black. What taints the black of our sky Is the colour of our atmosphere, and it doesn’t taint the black of the shadows and the black of space any differently. Which is why when you see a moon shaped crescent you only see the illuminated side of the moon and not the dark side. Do a google search for “crescent moon daytime” to see this effect. Anyway... if you look at the top image and pay attention to the “after” shot you’ll notice that the top of the moon is black. This is a mistake. It would be the same colour as the atmosphere which in that shot is a dark blue. *well, I say usually...obviously a moon can be bright and fully lit. But, the shots used by Lik are not quite fully lit. You can see some dark shower in the top right of the moon on the “after” shot. The orientation of the moon's features as well as the terminator and shadow are the clear signs that the image is composited. Something to be aware of Matthew is that the atmosphere doesn't actually have a color. Any colors you see in the sky as a whole are the result of Rayleigh Scattering. Basically, the atmosphere scatters certain wavelengths of light more than it does others and that's why it appears blue during the day. Also, another thing to consider, depending on the phase, you actually do see the part of the moon that is not illuminated by sunlight. Instead it is illuminated by earthshine. Earthshine is when sunlight is reflected off the part of Earth that is in sunlight that is, in turn, reflected off the moon and back to your eye. I posted this on FB the day after the supermoon, but only as a JOKE! I did take the shot of the moon that night, but the scene was taken last year. I was surprised how many fake shots were in the UK papers the next day as genuine, it's no wonder people are prepared to accept giant moons as real. Hahahaha. Love this. Thank you for the article !! Except his head office in Australia, all his galleries (twelve) are in the States. And no less than four of those are within a couple of miles of each other AND two of those are in the same location. There are rich people everywhere but the US seems to be a marketer's dream. I would guess that, with his sales tactics of "original work", he would not be able to sustain a gallery even in the most affluent cities of the world. Good for fStoppers for bringing it up. Although many would buy his work regardless, some might question him and his tactics (deception?). I have bought his work and would again if I find something interesting. Generally, besides his images sometimes being too heavily processed, I think Lik is an excellent artist. No doubt that he is an excellent photographer (and maybe even a PS master) but my point is, he seems to use deceiving tactics to sell his work and he obviously realized that the best place to do so is in the US. I personally prefer to spend my carefully planned budget on printing and framing my own art. However, I can see the attraction in his work. I hope that you'll look at the 2nd hand market if you do intend to buy his work again. The resale values on his work are horrendous compared to what you'll pay in his galleries. I hope you didn't purchase his work in a gallery as an 'investment'. It was quite a while ago at his gallery in La Jolla, CA. We loved the image, didn't really look at it as an investment. It is hanging in our house still.